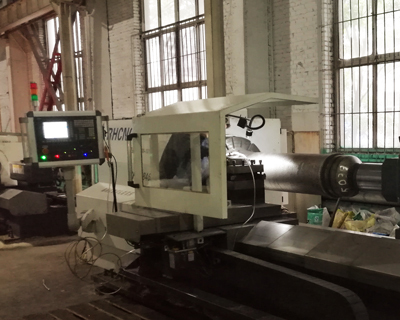 CNC Roll Lathe Turning Machines - Sinya International Trade Co.
Our lathe is a CNC model of high speed, high precision, high rigidity, four guide ways CNC roll lathe. It is mainly applicable to the processing of all kinds of rolls, and also shafts and disk-type parts. It is high efficient, simple operation, safe and reliable, widely used in machinery processing for iron and steel, coal, chemical industry, maintenance, automotive, petroleum, military industry etc. Equipped with SIEMENS CNC control system. Headstock is made of precision spindle unit with famous brand bearings. 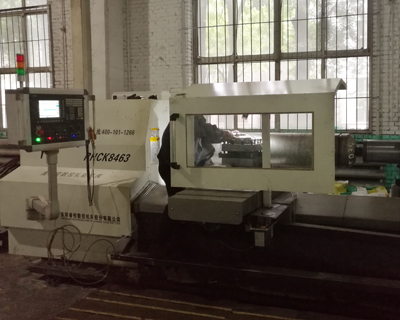 The feed system adopts high precision imported ball screws and drive servo motors, with ball screw support bearings to ensure the high rigidity, high positioning accuracy, fast response, high cutting speed of our lathe. 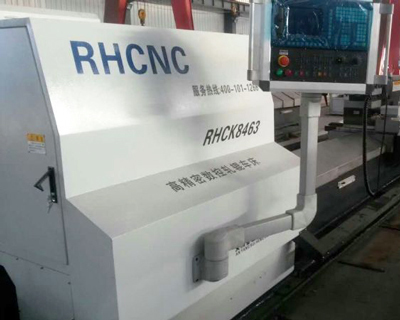 The guide ways adopt high precision linear rails in famous brand with heavy load capacity which ensure our lathe the high speed, high rigidity, high precision and fast response. The hardened hard guide ways by laser heat treatment increase its hardness, improve its wear resistance and enlarge the service life. 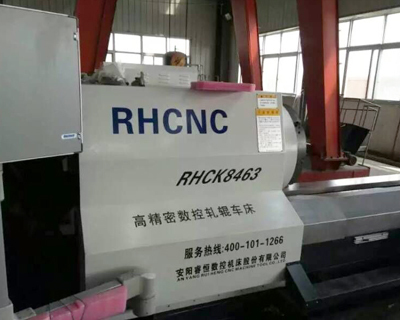 The tailstock is built with rotary live center, which improves the tailstock rigidity and the workpiece precision. The electrical components are mainly from famous brand products, and the electrical box is with air conditioning. Double efficiency on turning material of high NiCr and ductile iron, adamite and low carbon alloy steel. Technical specification please see below link.